This according to singer Iceprince Zamani who feels its the right thing to do. 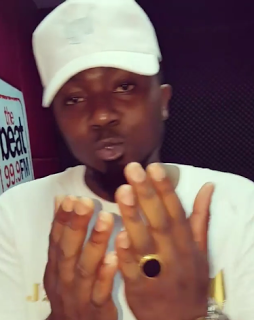 Iceprince Zamani who has a party this Sunday, told OAP Toolz in this video, that before he can invite her to his birthday party this Sunday, he needs to take permission from her husband, Captain Tunde Demuren. Some people thought it was not a good decision while some men thought it was a wise thing to do. You agree?